EHI was excited to host special guest Dr. Alfried Längle, noted Psychotherapist, Existential analyst, and Clinical Psychologist. Dr.Längle presented the Keynote and the Saturday workshop. We were very honored to have Dr. Längle join us for our Fall Conference. Alfried Längle, M.D., Ph.D., Dr. h.c.mult., and Professor of Psychotherapy was born in 1951 in Austria, studied medicine and psychology and works in private practice in Vienna as psychotherapist. He worked in close collaboration with Viktor Frankl from 1983 to 1991. Dr. Längle is the founder of the International Society for Logotherapy and Existential Analysis (Vienna) and it's psychotherapeutic training program. He is a noted lecturer at many universities in Europe and South America. Since 2004 he has served as a Professor of Applied Psychology (psychotherapy) at Moscow's HSE-university and is a guest professor at Vienna's Sigmund Freud university (since 2011). Dr. Längle has served as Vice President of the International Federation of Psychotherapy (IFP - 2002-2010) and President of the International Society for Logotherapy and Existential Analysis, Vienna until 2017. Dr. Längle has authored over 400 publications and is the recipient of six honorary professorships. For more information about Dr. Alfried Längle, please visit his website www.laengle.info. The 10th Conference opened onFriday, Nov 30th at 6pm and featured Dr. Alfried Längle's Keynote Presentation, To Live With Inner Consent – An Existential Analytical Approach to a Fulfilling Life with a social hour following. On Saturday, Dec 1st, the conference included a Workshop by Dr. Längle, a Panel with EHI and Alfried Längle, then Alfried wrapped up the conference with a dynamic demonstration . Find out more details about the 10th E-H Conference Schedule here on the Conference webpage. Like to know more about EHI's most recent Existential-Humanistic Conference? Visit the 2018 Conference webpage here. Interested in EHI's 2019 Conference? Come join us at the first Existential Cafe of 2018! You are invited to a hosted social gathering and existential discussion for therapeutic practioners interested in the existential-humanistic perspective. This is an informal way for us to build the strength and collaborative possibilities in our local E-H community. Come join the Existential-Humanistic Institute(EHI) and it's community members at an informal networking get-together. We welcome all existentially and humanistically oriented therapeutic practitioners! This community gathering is intended for all types of therapeutic practitioners and students. Psychologists, nurses, counselors, social workers, doctors are all invited. This gathering is intended for all: newcomers, students, and friends of EHI who are interested in bringing the existential-humanistic perspective to their work and lives. What: The Existential Cafe: A Bay Area Existential-Humanistic Community Gathering! When: Friday, March 16th – 6:30pm-8pm. Who: Hosted by members of the Existential-Humanistic Institute Community & Sponsored by EHI. How: There will be a short (and fun) experiential activity, after which we will break into informal discussion and general schmoozing. Free! We will provide drinks (wine, waters, soda) and snacks are always appreciated if you would like to bring something! RSVP: Let us know you can join us! Contact our Admin, Michelle by phone +1 415-689-1475 or by email at: info[@]ehinstitute.org. We hope you will be able to attend! And please feel free to invite friends or colleagues who might also be interested in the discussion. The Existential Cafe - A Bay Area Community Group for Existential-Humanistic leaning professionals and students. Psychotherapy is an art as much as a science. Orah Krug and Kirk Schneider co-authors of Supervision Essentials of Existential-Humanistic Therapy (2016), are master therapists and educators in Existential-Humanistic Therapy. They have created an innovative, evidence-based training and supervisory model that focuses on E-H therapy as a relational and experiential approach that incorporates participants' personal contexts to expand self- awareness and interpersonal sensitivity. This training model is grounded in the most current research on therapeutic effectiveness, i.e.,"contextual or common factors research" that cites the personal and relational dimensions of therapy—and not techniques or protocols—as primarily responsible for effecting healing and change. The workshop presenters will describe and illustrate their educational training and supervisory model. Their aim is to provide participants with a theoretical and an experiential understanding of this innovative and effective approach to psychotherapeutic training. In the first part of the presentation, Orah Krug will provide an overview of the training and supervisory model inviting participants to engage in an illustrative experiential exercise. Next, Kirk Schneider will present selections from the companion video to the aforementioned text titled, "Existential-Humanistic Psychotherapy Supervision" (March 2016), part of an APA Series on Psychotherapy Supervision). A short discussion among the authors and one of their APA editors, Arpana Inman will follow. The workshop will conclude with a live demonstration of supervision by Orah Krug and a volunteer. This presentation concerns the "experiential democracy project," an existentially based approach to the facilitation of "I-Thou" dialogues among parties holding ostensibly opposing views. Inspired by the work of Martin Buber (1970), I-Thou dialogues are intimate person-to-person encounters that balance the distinctiveness of individuality with the communality and potential for bridge-building among dyads or groups. Kirk Schneider originated the experiential democracy project to address the increasing polarization (among races, classes and political leaders) in our society. Still in its nascence, the experiential democracy dialogue has been engaged among graduate students, community leaders, and in one case, a social activist and police officer (eg., see Experiential Democracy Project: An "I-Thou" Dialogue on Racism and Policing -Full Video ). In this presentation, a Division 32 Task Force on the experiential democracy project comprised of Kirk Schneider, Nathaniel Granger, Rodger Broome, Louis Hoffman, and Orah Krug will demonstrate several forms of its application. First, the Task Force will provide an overview of the project, and ways it has been implemented in a variety of settings. Next, the Task Force will offer a demonstration of an "experiential democracy dialogue," to help illustrate the principles of the project; and finally the Task Force will support the facilitation of the dialogue among break-out groups of attendees to the presentation. The aim of the presentation is to provide timely skills to expand the principles of existential depth psychology to the mediation and healing of "otherness" both within ourselves and those with whom we interact. 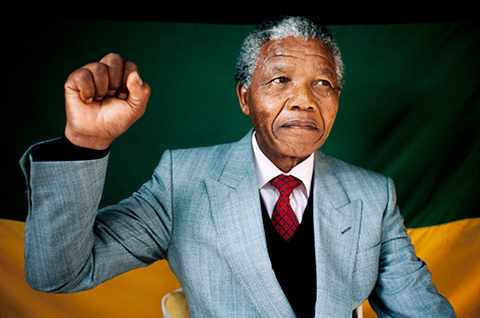 As can be seen from the recent contentiousness in the presidential election, as well as society at large, there are few more critical moments in our history for the application of these time-honored principles of practice. How conscious are we of the transformation of the self as robotic technology becomes increasingly present in our lives? Like Goethe's Dr. Faust have we signed a bargain with the Devil, Mephistopheles. In exchange for our submission to its authority robotic technology promise us limitless knowledge and power? This program engages participants in a stimulating and potentially unsettling discussion of robotics, a technology that is transforming our lives. Can we and to what degree should we take serious the prophetic claims of the leaders of the robotic revolution that one day robotic technology will recreate human beings in the image of these machines. Another possibility is that proponents of robotic technology like Dr. Frankenstein, will create tormented monsters lacking those qualities that make a human life worth living. The Brief Therapy Conference: Treating Anxiety, Depression and Trauma is an opportunity for leaders in the field to present and interact, by discussing their individual approaches, and the progress of psychotherapy in general. Presenting at this conference are experts—each of whom has made seminal contributions to the field of psychotherapy. The Brief Therapy Conference 2016 is the tenth comprehensive gathering of master practitioners from major contemporary disciplines. EHI 9th Annual Conference, Nov 12th, 2016! The EHI 9th Annual Conference, 'Always Going Home': Human Evolution and Digital Revolution will take place November 12, 2016 at AgeSong University in San Francisco. This 9th Annual conference will be a dynamic, interactive group discussion hosted by EHI's Nader Shabahangi, PhD, Kirk Schneider, PhD, Sonja Saltman, MA, MFT, Orah Krug, PhD, Mary Madrigal, PhD, Troy Piwowarski, PsyD, and Suzan Bollich, PhD. EHI is honored to have preeminent Gestalt Psychotherapist Dr Erving Polster present the EHI 9th Annual Keynote via Skype. Cocktail Party and Book Signing to follow conference. Join us from 5pm-6:30pm for book signings, libations and nibbles! These EHI authors will be on hand to sign their books! Dr Orah Krug & Dr Kirk Schneider will be signing the recently published Supervision Essentials of Existential-Humanistic Therapy. Dr Mary Madrigal will be signing her recent books Enough: You are Enough and Spirit of the Female Warrior. Dr Kirk J Schneider will be signing his latest book, The Polarized Mind, and Awakening to Awe. Dr Nader Shabahangi will be signing his recent book Ambiguity of Suffering, and Elders Today, Deeper into the Soul, and Encounters of the Real Kind. *There will be copies of the above books available. Description: Nader is presenting a workshop in Berlin on revsioning aging from liability to resource, from burden to a gift. Aging invariably can bring us a deeping and maturing. Description: We engage in one of the most polarizing election cycles in our country's history. This First Friday event at the Center for Integrative Psychology will host Kirk Schneider, Ph.D., author of The Polarized Mind. Kirk will describe and lead discussion on the nature, implications, and possible antidotes to polarized thinking (theirs, and ours). Description: This world appears to be coming apart at the seams. Every week we are bombarded by “breaking stories” of civil unrest, mass shootings, terrorism, and polarizing rhetoric from our presidential candidates. Title: Keynote- Can Awe Spark a Social Revolution? We are pleased to continue the Existential - Humanistic Consult Group in San Francisco. The group is now meeting on Saturdays from 10:30am -12:30pm at Agesong in Hayes Valley. In this group you will work with Dr Orah Krug to deepen your understanding of how to work with clients from an e-h perspective. c) increasing your facility to resolve clients' detrimental protective patterns. c) how to work with your personal contexts to resolve therapeutic impasses and help your clients accept disowned aspects of themselves. Once a month on saturdays from 10:30am -12:30pm at Agesong in Hayes Valley. Please contact Michelle, the EHI Administrative Assistant, by email at info[at]ehinstitute.org to register. Presenters include Kenneth Bradford, Tom Greening, Maureen O’Hara, Kirk Schneider, Bryan Wittine, and many more! The Existential-Humanistic Institute (EHI), in collaboration with CIIS, honors the centenary of James F. T. Bugental's birth and the 50th anniversary of The Search for Authenticity. EHI dedicates its 8th Annual Conference to Jim Bugental, a founder of Humanistic Psychology, co-founder of the Existential-Humanistic Institute, master Existential Therapist and pioneer of Transpersonal Psychology. In these sessions and panels, the presenters honor Jim as a strong advocate of experience-near psychotherapy, highlighting his recognition of inward sensing and the subjective experience of the individual. Such therapy emphasizes spontaneous engagement in the present moment, in the here and now. This conference brings together a number of Jim's former students and associates, many of whom now are respected mentors, therapists and teachers themselves. The Existential-Humanistic Institute provides a forum, a "home", for those mental health professionals, scholars, and students who seek in-depth training in existential-humanistic philosophy, practice, and inquiry. The institute's primary focus is training; offering courses in existential-humanistic therapy and theory. EHI was formed as a non-profit organization under the auspices of the Pacific Institute in 1997. CIIS Public Programs & Performances is an extension of the California Institute of Integral Studies, a nonprofit university dedicated to personal and social transformation. The mission of CIIS Public Programs & Performances is to uplift and engage San Francisco Bay Area communities by offering a global showcase of performing arts and educational events. Existential Humanistic Northwest (EHNW) is excited to present this year's EHNW Annual Workshop: "Existential Meaning-Making: The Heart of Therapeutic Change." Join author, therapist, and thought-leader in Existential-Humanistic psychotherapy Orah Krug, Ph.D. for a day of lecture, discussion and experiential exercises in meaning-making as a central element of therapeutic change. Dr. Krug's presentation combines lecture, case examples and experiential exercises to identify and describe the process of existential meaning-making, and explores how the act of “making sense” of an experience, is central to our client's therapeutic change. This workshop is presented by our friends at Existential Humanistic Northwest in Portland, OR. 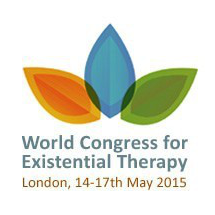 EHI Faculty members, Kirk Schneider, EHI Vice President and Orah Krug, EHI Clinical Director presented multiple sessions at the World Congress in Existential Therapy May 14-17th, 2015. Kirk is the Keynote Speaker on Saturday with his presentation: "Human Responsibility and the Polarized Mind." Symposium on Saybrook University's Contribution to Existential-Humanistic Psychology: Past, Present and Future. Human Responsibility and the Polarized Mind. Symposium on Key Concepts and Methods of Existential Therapies. Find out more about the World Congress in Existential Therapyin Beunos Aires, Brazil in May 2019. View photos from the Colloquium here in the EHI Gallery and here on the EHI blog. and how do we continue to deepen our practice throughout the years? This colloquium will encourage participants to share their ideas about the vital skills and attitudes that a therapist in training needs to learn and develop, and with regard to the practicing therapist, which skills and attitudes will not only enrich and deepen clinical work but also perhaps impact society in general. Thank you for your interest and we hope to see you at this year’s EHI “The Future of Psychotherapy” Colloquium. Pacific Institute’s GeroWellness Program is an Existential-Humanistic Oriented Internship and Practicum Program for Developing Therapists and is part of the AgeSong Living Platform. Visit www.pacificinstitute.org or www.agesong.com for more information on additional programs. Our Friends at the Saltman Center Celebrate 10th Anniversary! What: Special 10th Anniversary Presentation "Making Peace with Your Enemy - Nelson Mandela and his Contributions to Conflict Resolution"
Saturday, Nov. 1, 2014 | 3:00 p.m.
Richard Goldstone: "Nelson Mandela's Skills in Conflict Negotiation: A Personal Reflection"
Penny Andrews: "Nelson Mandela, Forgiveness and the Truth and Reconciliation Commission"
The Polarized Mind targets an important problem and shows how it has surfaced throughout the entire world, and chronologically, through the whole of recorded history. The book's scope is mind-boggling and its message crucial." --Huston Smith, Author of "The World's Religions" on Kirk Schneider's new book The Polarized Mind: Why It's Killing Us and What We Can Do About It." Presented by: Kirk J Schneider, Ph.D.
Join leading spokesperson for Existential-Humanistic psychology, Kirk J. Schneider, Ph.D. for a day of lecture, discussion and experiential exercises in existential-integrative therapy. Drawing from his new book as well as past work, Dr. Schneider will lead us in examining what he identifies as “The Polarized Mind” – its causes and development, existential issues and qualities, and its treatment via existential-integrative therapy. Dr. Schneider defines the Polarized Mind as the product not of sickness but of unaddressed and unacknowledged fear - which leads individuals and societies to become rigid, narrow, and destructive. Find out more about the Upcoming EHNW Workshop with Kirk Schneider here on the EHNW website. Workshop Syllabus:Read the full workshop syllabus online here. EHNW Workshop with Kirk Schneider - From the Polarized Mind to the Rediscovery of Awe. Sunday, December 8, 2013, 5:00 P.M. This presentation will begin with a short lecture on the Beat Generation's contribution to religious heresy in America and the spiritual underpinnings of the hipster archetype. Additional references will be made to the earlier romantic and transcendentalist roots of the Beats; and a panel will discuss the current influence of the Beats in literature, the arts, philosophy, psychology, and alternative approaches to spirituality. Yannis Toussulis, Ph.D. – specialist in the psychology of religion, former director of the Consciousness Studies Program at Antioch University/West, and adjunct professor of political and intercultural psychology at the Monterey Institute of International Studies. Author of Sufism and the Way of Blame (Quest Books, 2011). Marc Applebaum, Ph.D. – faculty member at Saybrook University and consulting editor at the Journal of Humanistic Psychology; specialist in phenomenological and hermeneutical research, cross-cultural psychology, and religious studies. Kirk J. Schneider, Ph.D. – vice president of the Existential-Humanistic Institute, adjunct faculty member at Saybrook University and Teachers College, Columbia University. He is author of ten books including Awakening to Awe (Jason Aronson, 2009) and The Polarized Mind (University Professors Press, 2013). Tony Stigliano, PhD – moral and political philosopher and adjunct professor of psychology at Alliant International University; former lecturer at CalBerkeley School of Education and Teachers College, Columbia University. For more information about City lights events please call: 415-362-8193. Join us in San Francisco for two days of break out sessions and speakers as we explore this year's theme, "Befriending Anxiety and Worry: Finding Strength and Meaning in Everyday Living." "Grow Old Along With Me: A Psychotherapist Looks at His Own Aging"
EHI has an exciting line-up of these speakers and sessions for the EHI7 2013 Annual Conference. Opening Keynote with E. Mark Stern, PhD: "Grow Old Along With Me: A Psychotherapist Looks at His Own Aging "
Ken Bradford, PhD: "Rude Awakening: Trauma as a Portal to Authentic Presence "
Bob Edelstein, LMFT, MFT:"Six Existential-Humanistic Philosophical Frames: Empowering the Therapist"
Patrick Faggianelli PhD: "Aikido and Psychotherapy"
Lisa Firestone, PhD and Joyce Catlett: "Creating a Meaningful Life: Through Facing the Anxiety of Being an Adult"
Tom Greening, PhD and Lisa Vallejos, MA: "Existential Shattering"
Candice Hershman, MA, LMFT, Doctoral Candidate and Sonja Saltman, MA:"Befriending Each Other: Befriending Agency & Meaning Through Community"
Heatherlyn Hoffman, PsyD, Louis Hoffman, PhD and Theopia Jackson, PhD: "Cultural Competency & Existential Psychotherapy"
Elva Hoxie, PhD, RN, MPH: "The Impact of Traumatic Brain Injury (TBI) on the Survivor’s Spouse/Partner From an Existential-Humanistic Perspective"
John Ingle, MA:"The Existential Body of the Humanistic Mind, Somatic Trauma Therapy Insights From Near Death to Gentle Everyday Ecstatic Living "
Janet Jacobson, American Council on Exercise(ACE), CNA/HHA, RNA:"How Dancers Think and Feel"
Orah Krug, PhD: "Contact and Context—The Paradox of Relational Presence"
Ali Miller, MFT:"Befriending Ourselves through Self-Empathy: Nonviolent Communication as a Tool for Self-Compassion"
Koke Saavedra, PsyD and Galia Schechter, PsyD:"The Freedom to Choose in the Presence of our Fears and Anxieties: Mindful Acceptance or Mindful Inquiry?" Kirk Schneider, PhD: "The Polarized Mind—Its Nature, Basis, and Therapeutic Implications"
Ilene Serlin, PhD, BC-DMT, Sarah Kass, PhD, Candice Hershman, MFT and Eleanor Criswell, PhD:"The Art of Embodiment"
Jeff Sharp, PhD:"Addressing Grief and a Looming Abyss: Uncertainty, Terror and Unexpected Rewards"
Michael Guy Thompson, PhD:"Existential Freud: Converting Neurotic Misery Into Common Unhappiness"
The conference is also a training venue for our yearlong certificate program. Upon successful completion, students in the program are awarded a certificate in the Foundations of Existential-Humanistic Practice. The “certificate track” will offer current and prospective students 12 hours of E-H therapy training, organized around the conference theme and taught by our nationally recognized faculty. Find out more and get contact info regarding the EHI certificate program here. "Everyday Existentialism: Cultivating Presence, Awe and Meaning"
*Schedule Update - Optional onsite lunches added to both Friday and Saturday $10 each day. The conference is also a training venue for our yearlong certificate program. Upon successful completion, students in the program are awarded a certificate in the Foundations of Existential-Humanistic Practice. The “certificate track” will offer current and prospective students 12 hours of E-H therapy training, organized around the conference theme and taught by our nationally recognized faculty. To learn more about the certificate program and the 12 hour certificate track curriculum, visit the EHI website. Cinema is the great contemporary art form of the 20th and 21st century. In his book, Sculpting in Time (1987), Russian filmmaker Andrei Tarkovsky asserted that cinema, along with music, was the most personally impactful art form in the sense that it has the capacity to bring us into the most direct experience of a story possible. Through suspended belief, an audience can experience a moving work of art in a palpable way, transcending the barriers that separate us from the world of the "other," and expanding our sense of personal emotional life through a deep intimacy that is developed with complex characters and estranged worlds. Existential Humanistic Psychology has a rich history of creative acknowledgement, recognizing that artists are perhaps among the greatest of psychological minds. Because of this, we invite the community to share a filming experience with each other, both as observers and dialectic participants. Sunday, May 6th, 2012, 2 – 5:30 PM: The Elephant Man (1980), directed by David Lynch. Film Synposis: The Elephant Man was nominated for eight Academy Awards including Best picture, Director, and Screenplay, and was also nominated for four Golden Globes. The Elephant Man won Best Foreign Film at the French Syndicate of Cinema Critics. David Lynch tells the true story of John Merrick, a severely disfigured man who made his way through the world pimped off as a circus freak until he was discovered by a surgeon, Frederick Treves, who had an agenda of his own. The transformation that occurs as a result of the relationship leaves the good doctor to examine his own character and the disfigured man to discover the great beauty that lies beneath his repulsive exterior. The film is a masterful portrait of the collective shadow, what we value, disregard, as well as the beauty and ugliness that exists within every human being regardless of what we choose to invite in or cast out. Written, directed, and produced by Kindred Parker of Last Wave Film. Kindred Parker will personally screen his award winning film and be available to discuss the content of his film and the artistic process after the screening. Film Synopsis: Act III, Scene I won Best Cinematography at San Francisco City Shorts 2010. Act III, Scene 1 is a modern reworking of William Shakespeare's Hamlet. It abstracts, contemporizes, and condenses elements of the play into a short film with its focus trained on Act III, Scene 1: the crucial exchange between Hamlet and Ophelia. A young prince embarks on a path of vengeance, sacrificing an authentic "romantic love" for a lofty idealism, driving himself and his lover insane. Last Wave's revision uses the classical tale of Hamlet to contemplate domesticity, anthropology, power dynamics, gender roles, politics, etc., and ultimately to tell its own story. Artist Biography: Kindrid Parker is a writer, award-winning filmmaker, and the co-founder of Last Wave Film. The films he has written and directed have been on view at various mainstays of the Bay Area filmmaking community: The Pacific Film Archive/Berkley Art Museum, The Artists' Television Access, The Knew Nothing, The Cafe Revolution, The Space Gallery, and many others. Kindrid publishes fiction and experimental prose through a number of literary journals, including 3AM Magazine and The Walrus. When he is not writing or directing films, Kindrid teaches Film Production and Film Acting at the Shelton Studios in San Francisco. Kindrid is currently in pre-production on his first feature film, Home. Sunday, July 15th, 2012, 2 – 5:30 PM: La Strada (1954), directed by Federico Fellini. Film Synopsis: La Strada won the Academy Award for Best Foreign Film in 1956. Fellini tells the story of Zampano and Gelsomina, two traveling circus performers who are in an abusive relationship with each other. The disconnection, cruelty, lost innocence, and questioning of one’s own personal value in an indiscriminately painful, yet beautiful and awe inspiring world is even further complicated when the two encounter Il Matto, another traveling, high wire performer with a devilishly irresistible free spirit. The tragedy that unfolds elicits irrevocable change that ultimately leaves one of the characters alone with their vulnerability in the face of a vast mystery. Candice Hershman, MA, MFT , will give a brief talk before each film screening, and then facilitate a group discussion before concluding the afternoon. Candice Hershman has a private therapy practice in Sausalito, and has been pleased with the efficacy of cinematherapy in groups she has facilitated in residential treatment. Candice has invested a great deal of time exploring cinema as an illuminating force in psychology. With faculty sponsorship, Candice wrote and taught a course at Sonoma State University titled Humanistic Psychology and Film , and has continued to pursue her passion for film through the mentored guidance of Dr. Ed Mendelowitz, author of Fellini, Fred, and Ginger: Imagology and the Postmodern World (2001), and Dr. Kirk Schneider, author of Horror and the Holy: Wisdom Teachings of the Monster Tale, (1999). For more information about Candice, please visit her website at www.chershmantherapy.com. EHI is one of the collaborating organizations for this conference organized by AgeSong Institute. The conference mission is to counter the mainstream understanding of aging as decline and/or disease with a more expansive, humanistic, and creative - that is poetic - vision and approach. Together we shall create a climate where people exchange information and partake in creative expressions, while providing room for self-study and discovery. The Existential-Humanistic Institute offers a Certificate Program in E-H Therapy. The workshops designated EHI-CT will offer training in E-H Therapy and are intended to provide those students enrolled in the EHI Certificate Program additional training. These workshops are also open to all therapists and therapists-in-training wanting experiential workshops in E-H Therapy. All the EHI- EHI-Certificate Tract trainings are taught by senior core faculty of EHI, and will offer CE credits. The Certificate Track Training is open to all conference attendees and are labeled “EHI-Certificate” on designated workshops below. Intertwining a mindfulness-based practice of relational presence with existentially-grounded psychotherapy. Cultivating the healing play of unconditional presence. This experiential program integrates the therapeutic approach of Jim Bugental with the principles and meditative practices of Buddhist-nondual wisdom with Heideggerʼs holistic vision of human being. The art of authentic presence and attunement to body, energy and mind will be practiced to develop skillfulness in therapeutic speaking and listening. We will consider how this approach might work with the various persons, problems and populations we encounter in our clinical practices and personal lives. Do you want to connect with other existentially oriented therapists in the Bay Area? And do you want to have a voice on the future of the Existential-Humanistic Institute? If so, please consider attending an EHI Learning Community Meeting in San Francisco on Thursday, July 7th @ 7 PM. The purpose of this get-together is to explore how EHI can meet the needs of our members and the local world at large via a learning community format. We are inviting feedback from attendees on how to make EHI relevant to your needs and dreams, so please bring your ideas and a lite snack to share with the group. If you've been interested in getting more involved with EHI to help make it a vibrant organization that can meet your needs and address local and global concerns, this is a great opportunity! Freud once said to Jung: “Psychoanalysis is in essence a cure through love.” If this is true, is psychotherapy a “love cure”? Is there a therapeutic kind of love? What forms does it take? How might “disorders of the heart” appear in psychotherapy? More personally, how does love (or the lack of it) in our own lives affect our work with our patients? The overall purpose of this series of seminars is to contemplate the varieties of love in the therapeutic relationship. Practical applications of theory to clinical work will be central to the seminars. We will explore Jungian, existential- humanistic, and contemporary psychoanalytic perspectives on love. Bryan Wittine, PhD, LMFT, is a Jungian analyst in private practice in Mill Valley and San Francisco. He has also trained in contemporary psychoanalytic, existential, and transpersonal approaches and has practiced meditation for 40 years. He teaches at the C. G. Jung Institute of San Francisco on the spiritual dimension of psychotherapy, the father, relationship problems of men, and love in the analytic relationship. Betsy Cohen, PhD, LCSW, is a Jungian psychoanalyst in Albany, CA and has been in private practice for 38 years. She is the author of The Snow White Syndrome and several papers on the practice of Jungian psychoanalysis. She is a teaching analyst at the C. G. Jung Institute of San Francisco. Jane Jordan, PsyD, is a psychoanalyst with practices in San Francisco and Santa Cruz. She is a training and supervising analyst for the Institute of Contemporary Psychoanalysis in Los Angeles and a member, coordinator and instructor for the international advisory council of the International Association for Psychoanalytic Self Psychology. Kirk J. Schneider, PhD, is a licensed psychologist and the leading spokesperson for contemporary humanistic psychology. He is editor of The Journal of Humanistic Psychology, vice-president of the Existential-Humanistic Institute (EHI), and adjunct faculty at Saybrook, the California Institute of Integral Studies, and the Institute for Transpersonal Psychology. The theme of our conference reflects the paradoxical nature of life and our times. In order to change and grow, a familiar way of being must end. As people and therapists, we are often at the center of a person's dance between loss and gain, between the comfort of the old and the anxiety of the new. This conference will attempt to further our understanding of this dance and the richness and diversity of its movements. Existential Integrative Psychology: The Art of "Being With"
Memories of our Mentors: Bugental, May, and Yalom. Students of James Bugental, Rollo May, and Irvin Yalom discuss the impact of these mentors on their lives and work. Schneider and May's Existential-Integrative Therapy: Latest Developments. One of the authors of this model of therapy discusses its evolution and his vision of its future applications. Cultivating Presence: The "You," the "Me" and the "We". A seasoned therapist, who studied with James Bugental and Irvin Yalom, she presents her research and perspective on deepening presence in the client, the therapist and the space "in-betwee" by integrating a subjective and intersubjective focus. East meets West: An Existential-Contemplative Model of psychotherapy. A long time practitioner of meditative practices presents his therapeutic model that integrates that experience with what he has learned during his extensive collaboration with James Bugental. One of the creators of this spiritually rich elder care facility presents the lessons this endeavor offers him and his trainees. A leading teacher encourages exploring and experimenting with the "physical." She encourages therapists to integrate movement and dance into their therapies. Drawing on their training with Bugental and Yalom, these seasoned therapists present their experiences with couples. A student of Bugental and contributor to Schneider’s publications, he uses case material to emphasize the encouragement of agency in his work with children. Christine Armstrong, M.F.T. is a licensed psychotherapist in private practice, specializing in individual, couple, and group psychotherapy with adults from an Existential perspective. Past board president of Marin Horizon School. Co -authored article with Jim Bugental in The Psychology of Existence and Integrative, Clinical Perspective. Currently serving on the board of Mosaic Multicultural Foundation, and providing pro bono supervision for Apple Family Works in San Rafael, CA. Ken Bradford, Ph.D., is a clinical psychologist in private practice, specializing in Existential-Contemplative oriented psychotherapy. He is an Adjunct Professor at John F. Kennedy University and CIIS, Formerly, Co-Director of Maitri Psychotherapy Institute and senior teaching associate with James Bugental, Ph.D. Ken has been a practitioner in the Theravada and Tibetan Buddhist traditions for over 30 years, and is professionally engaged in applying meditative sensibilities to psychotherapy practice. His recent publications include: Listening from the Heart of Silence: Nondual Wisdom and Psychotherapy, Vol. 2 with John Prendergast, and articles on Therapeutic Courage and Natural Resilience: A Heart Sutra for Psychotherapy. Stephen Curtin, Ph.D. o-Founder of EHI. He is a licensed psychologist in private practice. He is a graduate of Saybrook Institute and trained with James Bugental, Ph.D.. He has lectured and written on applying the Existential-Integrative model to psychotherapy with children and adolescents. Louis Dangles, M.F.T. is a licensed psychotherapist in private practice, specializing in individual, couple, and group psychotherapy with adults from an Existential perspective. Currently serving on the board of Mosaic Multicultural Foundation, and providing pro bono supervision for Apple Family Works in San Rafael, CA. He is an enthusiastic student of jazz trumpet. Orah Krug, Ph.D. Co-Founder of EHI and Training Director. A licensed psychotherapist, supervisor and consultant in private practice, she received her doctoral degree from Saybrook Graduate School. She has lectured and written on aspects of existential psychotherapy with a particular interest in the cultivation of intra and interpersonal presence. Irene Serlin, Ph.D., A.D.T.R., is a licensed psychologist in private practice in San Francisco and a registered dance movement therapist. She is a Fellow in the American Psychological Association. She has studied Gestalt, Existential, and Archetypal psychology with Laura Perls and James Hillman, and has taught at Saybrook Graduate School, UCLA, the C.G. Jung Institute in Zurich, and Lesley University. Her writings include: Humanistic psychology and women: A critical-historical perspective, and Laura Perls and Gestalt therapy: her life and values. Kirk Schneider, Ph.D. Past President and Co-founder of EHI. A licensed Psychologist with a Ph.D. from Saybrook Institute. Author of a number of publications that defined and elaborated on the Existential-Integrative Model of Psychotherapy. His application of this model is the subject of a recent APA video on Existential Psychotherapy. His most recent publication, Existential-Integrative Psychotherapy, is due out in the Fall of 2007. Nader Robert Shabahangi, Ph.D Current President and Co-Founder of EHI. Also President and Founder of the Pacific Institute. A licensed Psychologist with a Ph.D. from Stanford University. A leader, trainer and writer on applying the Existential-Humanistic approach to the treatment of elderly in the United States and Europe. Grand Opening Dinner Celebration with Guest Speakers Dr. James F.T. Bugental & Dr. Irvin Yalom. Discussion on Grief with Mary Goulding, M.S.W. The Art of the Psychotherapist with James F.T. Bugental, Ph.D. at the Westerbeke Retreat Center. Existential-Contemplative Perspectives and the Integration of the Spiritual in Depth Psychotherapy. Workshop with Bill Staudenmaier, Ph.D. and Bruce McBeath, Ph.D. The Legacy and Future of R.D. Laing's Contribution to Contemporary Thought: A Two-Day Symposium with moderators: Dr. Michael Guy Thompson and Dr. Kirk Schneider. Evoking the Edge: Applying Existential Principles to Live Cases with consultants: Nader R. Shabahangi, Ph.D., MFT, Karla Boyd, Ph.D., MFT, and Orah Krug, MFT. Person-Centered Expressive Arts for Therapists and Healers. Weekend workshop with Natalie Rogers, Ph.D., R.E.A.T. What is Existential Humanism- A Dialogue with the Directors of EHI. Writing, Editing, Publishing- Existential Humanistic Psychology with Tom Greening, Ph.D., Kirk Schneider, Ph.D., Frances Vaughn, Ph.D., and Leslie Berriman. A History of the Breast with Marilyn Yalom, Ph.D. The Art and Wonder of Psychotherapy with Children with Deborah Cohen, M.A., M.P.H., and Stephen Curtin, Ph.D.
Diversity: Exploring Existential-Humanistic Psychology with Various Populations with Sonya Grant Arreola, Ph.D., Lou Dangles, M.F.C.C., and Gregg Richardson, Ph.D. Supervision and Consultation with Individuals and Groups with Ken Bradford, Ph.D., Jeff Sharp. Ph.D., and Molly Sterling, Ph.D.
Sufism and Psychotherapy with Myrtle Heery, Ph.D., an Bryan Wittine, Ph.D. Meditation and Self-Inquiry for Existential Therapists: A workshop with Bryan Wittine, Ph.D. Discussion and brunch with panelists: Elizabeth Bugental, Ph.D., Richard Kleiner, Ph.D., and Nader Robert Shabahangi, Ph.D.